Stretcher mattresses can be made out of many different materials, each with different capabilities and price points. Here are four types of mattress cover materials and the positives and negatives for each to help you in deciding which one is right for you. This is the most common material and a good choice for most situations. It’s economical, stain resistant, durable and easy to wipe clean, but isn’t compatible with all cleaning agents. Polyurethane covers are the most breathable, but still prevent liquids from penetrating. Look for a bi-directional stretch fabric, which provides the most ideal stretch, and helps avoid “hammocking”, allowing for easier patient movement and transfer. While commonly called “conductive”, it is actually a non-conductive material that prevents the accumulation of a static charge. It was created years ago when there was a concern of introducing static electricity with oxygen, and is typically used in MRI and CT scan applications. 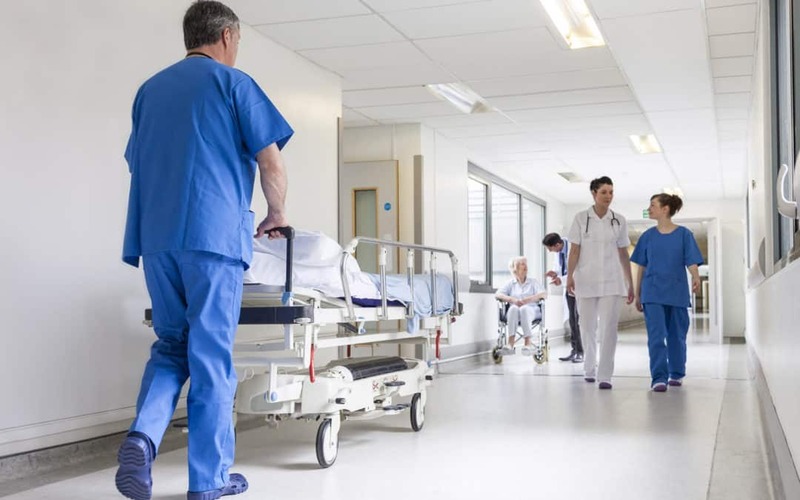 Today, hospital rooms are grounded, and polyurethane and polycarbonate materials are also non-conductive, so the demand for this material has diminished. It’s the most durable choice in regards to cleaning agents, but it’s very stiff with no stretch. Polycarbonate is an additive to polyurethane material which makes it more durable and resistant to harsh cleaning agents, such as bleach and peroxide. Polycarbonate is a little more expensive than polyurethane, but will last much longer. This is the best choice when looking for comfort and durability. Both our polyurethane and polycarbonate mattresses feature welded seams to prevent fluid ingress. Nylon is the least expensive choice, and most commonly used in long-term care facilities. It holds up well to cleaning agents, but reacts to the chemicals by turning orange over time, giving the impression that it needs replacement. It is not a good choice when looking for pressure reduction or stretch, and makes a “crunchy” noise when moving on it. Although it has a PVC backing to help keep liquid from coming through, the material must be stitched rather than welded, so there is an increased chance of penetration if fluid runs down the sides. Curbell offers all four materials to suit your needs. If you find mattresses that need to be replaced, give your Curbell representative a call for help selecting an affordable replacement cover or mattress. Learn more about our line of mattresses here.